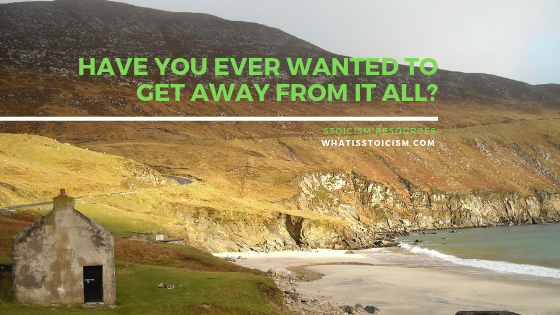 Have You Ever Wanted To Get Away From It All? - What Is Stoicism? The phrase “get away from it all” is so common that it warrants its own definition in Collins English Dictionary. The Collins website explains it as follows: “If you get away from it all, you have a holiday in a place that is very different from where you normally live and work.” If you’re like me you might sometimes wish for something more permanent than a holiday, but the definition is otherwise sound. 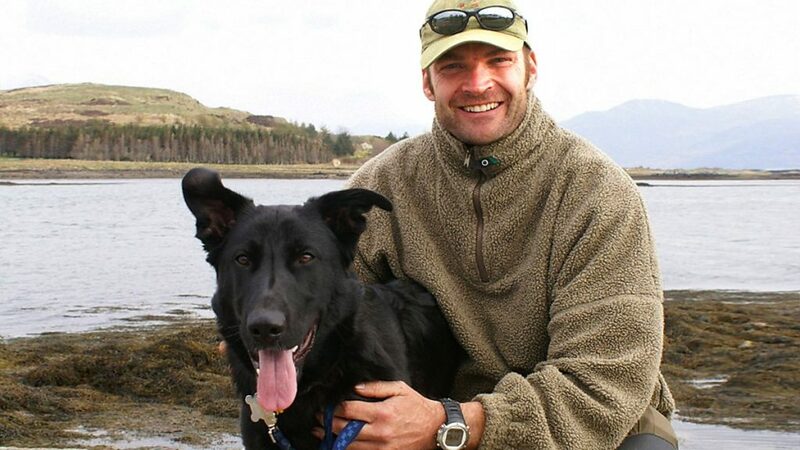 In 2009, Monty Halls spent six months getting away from it all in the remote Scottish village of Applecross. The aim of Monty Halls’ Great Escape was to leave city life and get back to basics by becoming self-sufficient as a beachcomber. It’s just past ten years since the show was first broadcast and it stuck with me so much that I recently picked up the DVD. I’m glad I did. Seeing Monty once again converting a down-trodden bothy into “Beachcomber Cottage”, and setting up his small farm of pigs, hens, and crops stirred up the same feelings that had me so engaged a decade ago. It may seem idealistic or overly-romanticised, but there’s something about adopting a more rustic lifestyle, literally reaping what you sow, that is very inspirational to me. There are many times early on in the show when it’s clear how happy Monty is on his adventure. But there’s a particularly lovely moment one evening as he’s preparing a freshly-caught seafood dinner on an open fire with his rescue dog Reuben watching on, when he contentedly takes stock of his surroundings: “Got my dog, got my langoustines, got my house, got my beach, got my sunset. This is it, this is the real deal.” His “gots” aren’t materially much, but in that moment he has absolutely everything he needs. In that Stoic moment, he realises he is wealthy. Monty makes his integration into the community easier by reciprocating the good deeds he receives in any way he can – after one successful day catching some crabs, he makes the rounds in the village and delivers them gratis to the locals. As in any tribe, a new member is accepted more readily when they prove their worth and willingness to help. What benefits the hive usually comes back to the bee in a good way. One key piece of advice that all the ancient Stoics offered was to “live in accordance with Nature.” What this means in practice is confusing to those unfamiliar with Stoicism. Monty is certainly living in nature given his remote location by the beach and his efforts towards self-sustainability, but is he living in accordance with Nature? At the time of broadcast in 2009, the premise of Monty Halls Great Escape certainly struck a chord with many more people than just myself. Viewers immediately wanted to know more about Beachcomber Cottage, and the walkers website Walkhighlands saw a 1300% increase in visitors reaching them via Google searches for Applecross. Getting away from it all is an appealing concept. So refresh and raise your spirits, realise that you don’t need much to be happy in that moment, just the open air. Sometimes you get what you get. And you don’t need much to be wealthy if you don’t need much. « We Always Have A Choice!